Elon Musk and his SpaceX team just experienced a pretty devastating catastrophe that could set them back months or even years. 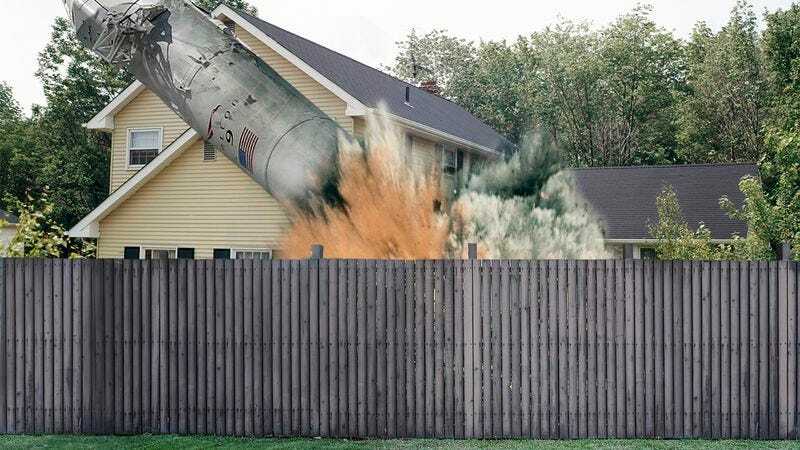 SpaceX technicians have reported that one of their Falcon 9 rockets has landed in a mean old neighbor’s yard, and so it’s basically lost forever. It’s safe to say that any giant leaps for mankind are going to be put on hold for a while. The disaster took place earlier this morning when, according to digital diagnostics, a loose bolt in the Falcon 9’s second-stage rocket core breached a liquid-oxygen fuel tank, causing the rocket and its multi-million dollar payload to veer drastically off course and land in the yard of the reclusive and belligerent John Haberman, an elderly neighbor that SpaceX officials have described as the meanest, scariest man in the world. Knowing Musk’s determination and persistence, he probably won’t let this major setback keep him down for too long, but it’s safe to say that going forward, SpaceX is going to be taking every precaution it possibly can to make sure it never has to watch another rocket sail over Mr. Haberman’s fence. With too many more disasters like this, SpaceX might not be able to recover.